Our focus in this article is to achieve the connection between your GoAutoDial server, and our Mission Control Portal. 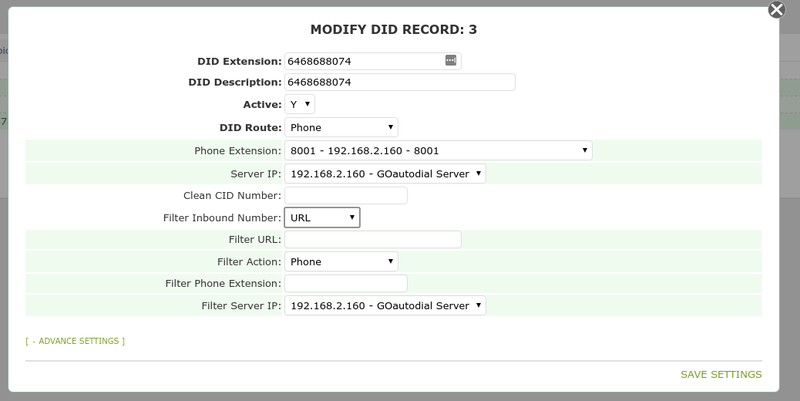 We will describe a sample configuration of the OUTBOUND, and INBOUND trunk assuming that you already made the main GoAutoDial installation and telecommunication-applications deployment. Note: The username and password must match the username and password set on your portal connection. 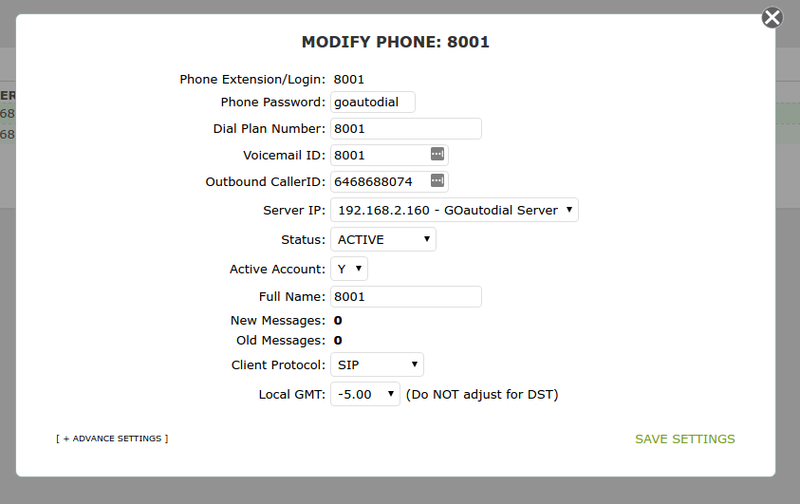 On your Dashboard page under "Admin Settings/Phones/ACTION" click on "MODIFY PHONE 800X" with the following parameters. 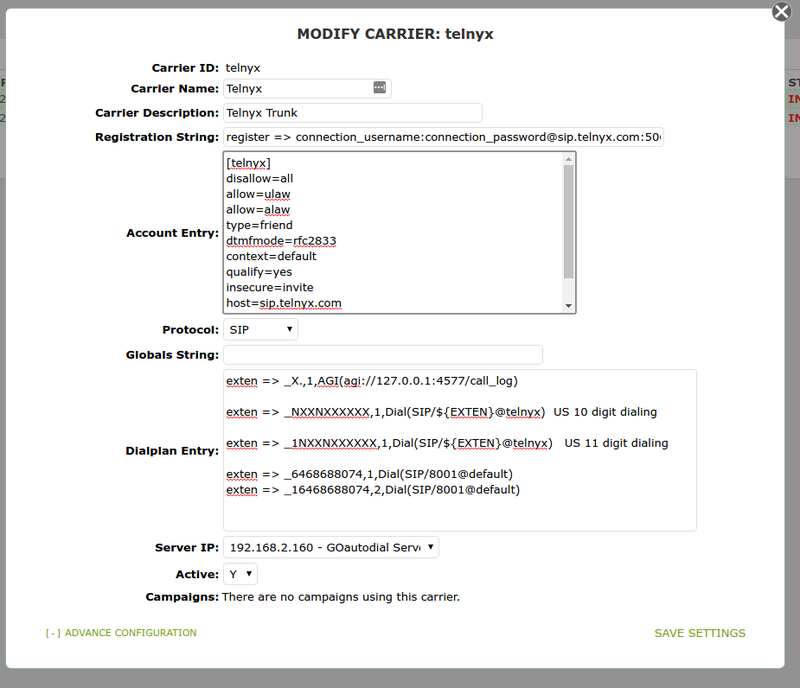 Note You can supply a DID from your portal account to the "Outbound CallerID" field of the phone extension. In this example the DID is 6468688074. Please use a DID from your portal account and the phone extension you wish to receive inbound calls to. 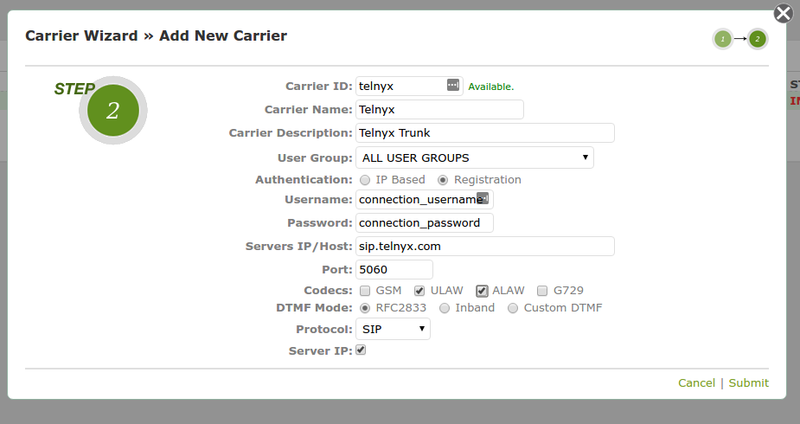 Your GoAutoDial IP trunk should now be ready!